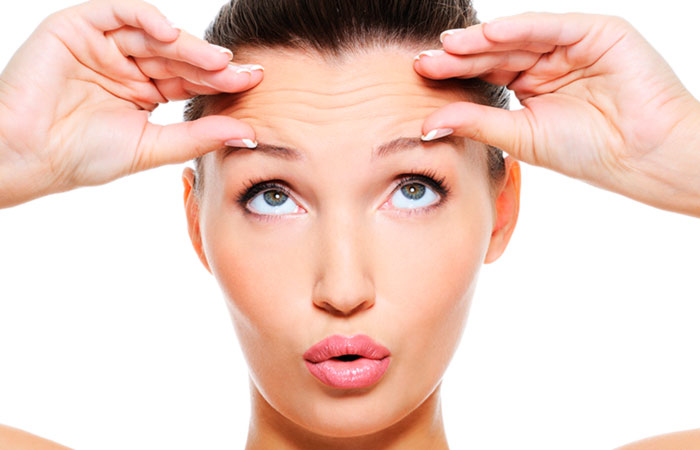 As you get older, your skin begins to age and its elasticity is reduced. If you stroll down the anti-aging aisle of any drugstore, you will find a number of products that claim to minimize wrinkles and sagging skin. But, before you empty your wallet and buy those products, pause for a moment. Step into your kitchen and take a look at the shelves. You will find those magical ingredients that can get rid of wrinkles and other signs of aging right there. Moreover, unlike commercial products, these fresh ingredients provide active vitamins to the skin. They soften fine lines and moisturize the skin, revealing a fresher and younger you. Peel half a cucumber and cut it into thin slices. Toss the cucumber slices in a blender and blend until it forms a smooth pulp. Strain the juice and add the egg white of one egg to it. Mix well and apply it to your face and neck. Let it sit for 15-20 minutes. You can apply this face mask daily. Cucumber juice is rich in silica, which helps reduce wrinkles and appearance of fine lines. The egg white, on the other hand, helps tighten the skin.